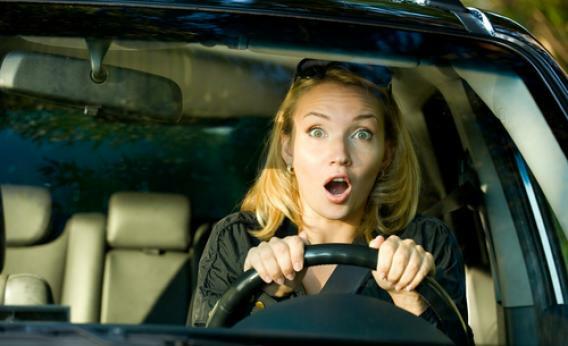 German parking lot and women drivers: Are ladies actually bad behind the wheel? Triberg, Germany—a tiny town known for cascading waterfalls and a preponderance of cuckoo clocks—truly put itself on the map last week, as its mayor Gallus Strobel unveiled a new 220-spot parking lot, with narrow spaces reserved for men, and wider ones for women. In a blatant publicity stunt, Strobel enlisted one female and one male architect to designate 14 gender-specific parking spots according to “difficulty.” In light of ladies’ ostensible lack of finesse behind the wheel, 12 extra-wide, brightly lit spots near the exits were deemed “women only,” demarcated by large painted “female” symbols. Accordingly, two nonrectangular spots, requiring a driver to reverse between pillars and walls, were designated “male only,” graciously sparing the ladies a testosterone-demanding challenge. Phew. As reported by the daily Süddeutsche Zeitung, Strobel unabashedly justified the design with the assertion that “men are, as a rule, a little better at such challenges” and called international criticism the “humourless reactions from the political correct.” Hoping to swell the Triberg tourism coffer, the mayor goaded women to “come here and prove me wrong.” And according to the Daily Mail, curious visitors eager to test their spatial skills in the parking challenge have already taken the bait. Despite not wanting to give Strobel the publicity he so desperately seeks, the new lot got us wondering: Are women actually worse at parking than men? The science is hardly as definitive as Strobel’s unequivocal proclamation. In fact, some research points to the contrary. National Car Parks, the U.K.’s largest parking lot operator, clandestinely assessed 2,500 men and women’s “parking coefficients” by scoring their performance on seven parking behaviors. Not only did women have a higher average score of 13.4 out of 20, compared to men’s score of 12.3, but women also excelled at the very skill considered prohibitive by Triberg’s male-designated spots: reversing. Although women took an average of 21 seconds to park—5 seconds longer than men—11 percent more women chose the challenging reverse-park strategy over the “simpler” move of pulling forward into a space. Those precious extra seconds don’t seem to indicate ineptitude, but rather focus: Women managed to center their vehicles 53 percent of the time, while men did so only 25 percent of the time. There is, however, conflicting research. A study conducted by Claudia C. Wolf and colleagues at Germany’s Ruhr University-Bochum—described here by Tom Vanderbilt—suggests that men are both faster and better at parking farther away from neighboring cars. Lending some credence to stereotype, Wolf’s study also addresses prior research indicating that men do have slightly superior spatial cognition skills, particularly when it comes to tasks involving “mental rotation,” like parking. Even driving test statistics reveal a stark gender divide: data collected by the UK Driving Standards Agency from 2010-11 showed that 40,863 women failed their driving test due to “lack of control” during the reverse-park maneuver, while only 18,798 males failed for this reason. These differences don’t necessarily suggest any innate disadvantage among women. What likely gets in the way of female drivers’ performance is a crisis of confidence. Surveys used to supplement NCP’s surveillance data revealed that less than a fifth of women questioned believe they are better parkers than most men, while less than a third believe they are better parkers than their partners. Such self-doubt can throw a wrench into women’s performance behind the wheel, thanks to the handicapping influence of stereotype threat (see Vanderbilt’s piece in Slate for more on this parking “performance gap”). Psychologist Dr. Zachary Estes at the University of Warwick and Dr. Sydney Felker from the University of Georgia Health Center found notable increases in women’s performance on spatial tasks, including parking a car, when negative stereotypes were combated with confidence-inspiring messages. It’s hardly surprising that many of us park more slowly, readjust our cars, and more frequently choke on our reverse-park driving tests after being socialized to believe that women are bad drivers. Plus, regardless of who gets it right in the lot, women easily have the upper hand on the open road. When male drivers pull out of the relative safety of slow speeds, walls, and pillars and into the wild west of traffic, they face a bleaker future than their female counterparts. Male drivers are reportedly responsible for about 80 percent of all fatal and serious car accidents, and were at the wheel for a total of 6.1 million crashes in 2007 compared to 4.4 million by women. Although it’s true that men also drive more miles than women (which might contribute to both more frequent crashes and superior parking skills, due to sheer practice), men also drive more dangerously and outnumber women 3 to 1 in DUI violations. Be careful out there, ladies. Correction, July 18, 2012: The original version of this post incorrectly suggested that men were involved in 6.1 million fatal and serious car crashes, amounting to 80 percent of all such accidents.